Malaysia Airlines is pleased to be appointed as the Official Airline for IFLA WLIC 2018. Malaysia Airlines and oneworld® offers superior connectivity with seamless journeys to more than 1,000 destinations across 150 plus countries, and access to over 650 airport lounges worldwide. Registered IFLA WLIC 2018 participants travelling to the event qualify for a discount of 20%! Enter your Destination, travelling date and promo code according to the details above. Select “Book Now” and enjoy the discounted fare! 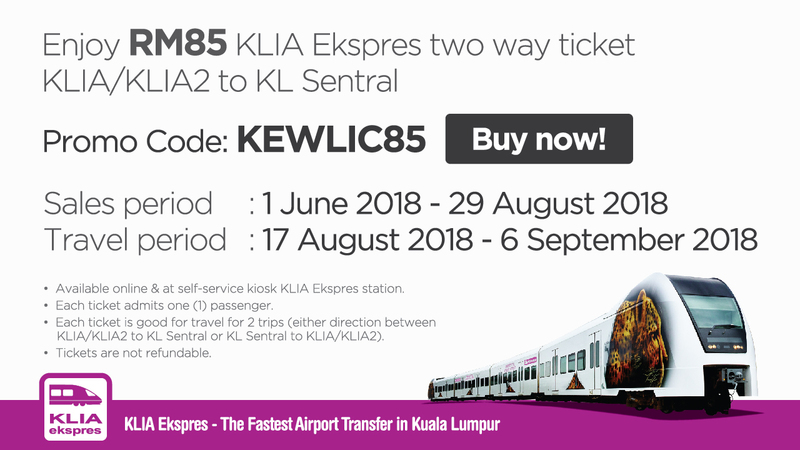 Please note that the promo code is only applicable from/to Malaysia Airlines destinations. The discount will not apply if the chosen flight is operated by another airline. Car rental services are available both at the airport and at KL Sentral. The Kuala Lumpur – Seremban Highway is the main route into the city. The drive takes about one hour or less, depending on traffic conditions. Recommended vaccines: Poliomyelitis (childhood booster), Tetanus (childhood booster), Typhoid (food & water borne diseases), Hepatitis A (food & water borne diseases). For those venturing outside cities and towns, further recommended vaccines are Hepatitis B, Rabies, Japanese B encephalitis, Tuberculosis and Meningitis. For those visiting Sabah and Sarawak, Malaria prophylaxis is strongly recommended. Please present a certificate of vaccination against Yellow Fever if you are coming from or have recently traveled in the Yellow Fever Endemic areas or countries listed below. Please inform yourself of the vaccination requirements which you will also find below. This information is provided by the Ministry of Health Malaysia. • All visitors or delegates (Malaysians and Foreigners) coming from or going to/through countries with risk of Yellow Fever transmission (as listed above) are required to obtain a Yellow Fever vaccination certificate. • Yellow Fever vaccination is also required for travelers having transited more than 12 hours through the airport of a country with risk of Yellow Fever transmission. • Travelers or delegates without a valid Yellow Fever vaccination certificate shall be quarantined upon arrival in Malaysia for a period not exceeding 6 days. • The period of validity of an international certificate of vaccination against Yellow Fever will be lifelong, beginning 10 days after the date of vaccination (20th June 2016).